There’s Lemon Swirl, Dark Chocolate Almond with Coconut and Chocolate Chip Cookie Dough Protein. Say Hello. Last fall I introduced you to Skinnygirl Tasty Nutrition Bars. I was back in my home state at the time so I was able to share with my extended family and not just hog them all myself. Let me tell you that these bars were a hit! They still mention them to me. Remember those bars? I say Yes you can get them at Target! When you scour the shelves next time you are there, you’ll see these three new flavors. Lucky me has had a chance to try them all! My favorite time to grab one is after I’ve dropped the boys off at school and come home to eat one with my coffee. I check my email and put up my post, while nibbling on my delicious, nutritious Skinnygirl Bars. It’s like dessert for a morning snack! Above is my new fav – Dark Chocolate Almond with Coconut – those are like my 3 favorite things! What I love is that Skinnygirl bars contain 170 calories or less, are a good source of protein and fiber, are gluten-free, Kosher, and contain no artificial sweeteners or flavors. If you buy online use Code: Crunchy01 for 10% off any order! WIN a package of each of the 3 new flavors! I am a Skinnygirl Brand Ambassador and was compensated for my post. All opinions are definitely my own. 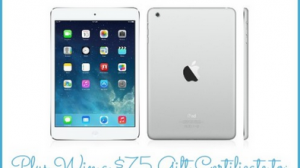 This giveaway will end on April 22, 2015 at midnight EST. Winners will be drawn via rafflecopter. Once a winner is drawn I will contact them and they will have 48 hours to reply before I draw a new winner. Giveaway is open to anyone in US and you must be 18 years of age or older. Giveaway not affiliated with Facebook & I release them of liability. Winner will be posted in the rafflecopter widget. Haven't tried them... yet. You sold me on the Dark Chocolate Almond with Coconut-- those are three of my favorite things, too! I received a sample in one of my review boxes that I haven't gotten around to trying yet. I haven't tried these bars yet, but I'm going to be looking for them. I really want to try the chocolate peanut butter and sea salt. I've never tried anything skinnygirl but I'd love to try the dark chocolate pretzel bar! all of them sound so good! Dark Chocolate Almond with Coconut has everything I love! I have never tried these bars before. The almond coconut sound great. Thanks for the giveaway. I've not tried Skinnygirl bars before but the chocolate chip cookie dough sounds great and one I'd have to share with my teen! have not tried these; would love to try Lemon Swirl. I have tried other brands of bars but not Skinny Girl. The lemon sounds good to me right now. I have not tried them yet, but the Dark Chocolate Almond with Coconut sounds delicious! I have not tried Skinny girl bars - any of the flavors look worth a taste test. I haven't ever tried these before. I would love to try the Lemon Swirl. I have never tried but I would love the dark chocolate pretzel flavor. I haven't tried the skinny girls bars yet, but the lemon swirl sounds yummy! I've tried the lemon swirl, love lemon. these are good. hooked. I have not tried Skinnygirl bars yet. I'd go for anything with chocolate in it, first. I have not tried these yet. I would love to try the Dark Chocolate Multi-Grain Pretzel bars. I have not tried Skinnygirl bars yet, the first flavor that I'd like to try is the Dark Chocolate Almond with Coconut. I have not tried these yet. I would love to try the Chocolate Chip Cookie Dough. I haven't tried any of the Skinnygirl bars, coconut and chocolate is one of my favorite pairings so the dark chocolate almond with coconut looks really good to me. I havent tried them. I think the Dark Chocolate Almond with Coconut would be one of my favorites too! I haven't seen them. Where can I buy them? The Lemon Swirl sounds delicious! The flavor I would love to try is the Dark Chocolate Almond Coconut Bar. Sounds Yummy! I have not tried yet, but would like to try the dark choc. cookie dough. Never tried the bars before, but Dark Chocolate Almond with Coconut sounds delish! I've never tried these bars before, but my sister loves them!! I haven't tried Skinny Girl bars yet. I want to try Dark Chocolate Almond with Coconut first. I've always wanted to try these. The chocolate peanut butter sound good! I would love to try Skinny Girl Nutrition Bars- any flavor cuz they all sound good! I haven't tried them yet but the dark chocolate almond with coconut sounds yummy! I have tried the dark chocolate pretzel flavor, but I would love to try the cookie dough one. Thank you!!! The chocolate almond coconut would have to be the one for me too. Love the flavors and combinations. Great protein source after a good workout. I haven't tried one but the Lemon Swirl sounds good for a morning treat. I have never tried them before, but I think the Dark Chocolate Almond with Coconut sounds yummy! Dark Chocolate Almond with Coconut sounds wonderful. I have not had a chance to try these yet. No I haven't but they look so good like to try them all. Did I read somewhere that you now have salad dressings? Would love to try them! Thanks! I love everything Skinnygirl! But the bars are absolutely wonderful! We get these all the time and they are great and keep you feeling satisfied for a few hours. My favorite is the peanut butter one... Delicious! I love the chocolate peanut butter with sea salt, any time of day, but especially after a workout. THANK YOU FOR THESE FABULOUS BARS at a calorie count I can have. I have not tried skinnygirl bars yet. I would like to try the Dark Chocolate Almond with Coconut. I have not tried! But love that they are gluten free! Lemon Swirl sounds delish! I haven't tried these yet, but I would love to give them a try, especially the chocolate peanut butter and sea salt. That one sounds really good. I have not tried them yet!! My daughter has quite a few skinnygirl items in her pantry, she likes them. I might give them a try! I hope I win this so I can sample them! I haven't tried Skinnygirl, but the Lemon Swirl sounds yummy. I would like to try the protein bar. I have never tried Skinnygirl Tasty Nutrition Bars, but I would love to try the Dark Chocolate Multi-Grain Pretzel Tasty Nutrition Bars! I've never tried them but I'd love to try the Dark Chocolate Pretzel. I've never tried SkinnyGirl bars. i'd love to try the Dark Chocolate with Pretzel. I've never tried them before. I'd like to try the Dark Chocolate Almond with Coconut first. I have never tried them but I would like to try the chocolate chip cookie dough flavor. I would love to try the Dark Chocolate Almond with Coconut bars, but they all sound delicious! Dark Chocolate Almond and Coconut YUM! Those sound delightful! No I have not tried Skinny Girl Nutrition Bars yet. 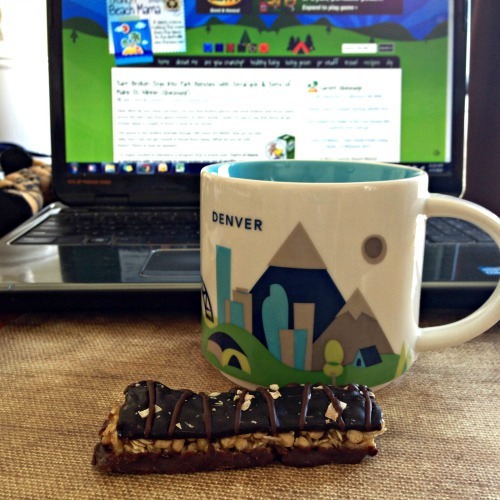 I have not tried the Skinny Girl bars but the Dark Chocolate Pretzel sounds amazing. I have not tried these yet but I would love to try the Dark Chocolate Almond. SOunds yummy. I've never tried Skinny Girl bars before, but the cookie dough flavor sounds amazinggggg. I have never tried them but I would like to try the Dark Chocolate Almond with Coconut. I've never tried them, but the lemon swirl sounds especially yummy! I can't wait to try the Dark Chocolate Pretzel flavor! Haven't tried them yet, but Dark Chocolate Almond with Coconut would be my pick to try first...yum! I have not tried Skinny Girl Bars Yet but I really want to! I think I would Like Lemon Swirl or banana oatmeal! I like to bring snacks like this with when I travel. Never know when you'll need a snack to pull you thru to the next meal. I've never tried Skinnygirl before and I would like to try the chocolate chip cookie dough first! I love the Chocolate Peanut Butter with Sea Salt. I have not tried any others. I have celiac disease and am sooooo appreciative that Skinny Girl is Gluten Free! THANK YOU!!! THANK YOU!!! THANK YOU!!! 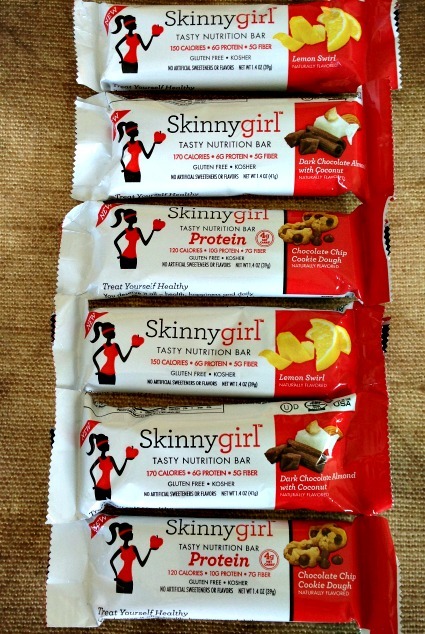 I have not tried the Skinny Girl bars yet, but would love to try the lemon swirl! I have not tried these before, but I really want to try the almond with coconut! Nope, haven't' tried them yet. The choc chip cookie dough looks yummy! I have not tried these yet. The Chocolate Peanut Butter with Sea Salt variety sounds best to me! Yes I have and the Chocolate Peanut Butter is the BOMB. I haven't tried them. I'd like to try the Lemon Swirl. I haven't tried the new flavors yet but recently bought the dark chocolate pretzel and banana oatmeal dark chocolate when they were on clearance at my local target! Love them! I eat them before classes and at work and they're always gone within the week. Would love to try the chocolate chip cookie dough, sounds right up my alley! Love everything about Skinnygirl products. Your blog is great, thanks for sharing! I am pregnant and need lots of extra protein -- I haven't tried any of the bars, but want to try them all! I have never tried one of her bars although I have been wanting to try them especially the cookie dough! I normally eat cookie dough balance bars every single morning but since that's been going on for about 2 years I'm wanting to start trying something new. Oooh, I'd LOVE to try the Lemon Swirl! They al sound like something I would like and usually have a bar of some kind with my coffee each morning. So these would be a great win for me! I haven't tried any of the food products yet, but I am definitely going to try the cookie dough protein bars! I have not tried these. I would like to try Lemon Swirl. I have not tried the Skinnygirl bars but I will be trying them. I love the Skinnygirl Margarita so I'm sure the bars are fabulous too. I didn't even know Skinnygirl made protein bars. Gamechanger!!! Thank you for posting! I haven't tried them before, but I'd be all about the Dark Chocolate Almond with Coconut! Yum! I haven't tried Skinnygirl bars yet but I would love to try the Dark Chocolate Almond with Coconut flavor! I haven't tried any of the bars yet but would love too. I have not tried these yet, but would like to try the lemon swirl. I'd love to try the chocolate chip cookie dough one, it sounds delicious! I haven't tried these. The lemon sounds delish! I've never tried them before, but I would like to! I want to try out the lemon swirl! In a skinny jean challenge and these would be great to have for my snacks! I haven't tried them but pretty much love anything with lemon so that's where I'd start. I have not tried SkinnyGirls Bars yet, but I would love to try the Chocolate Chip Cookie Dough ones. They sound yummy! I've never tried Skinnygirl. The dark chocolate almond coconut sound amazing. I have not yet tried them. They look good. Chocolate chip cookie bar would be great. Never heard of them before.